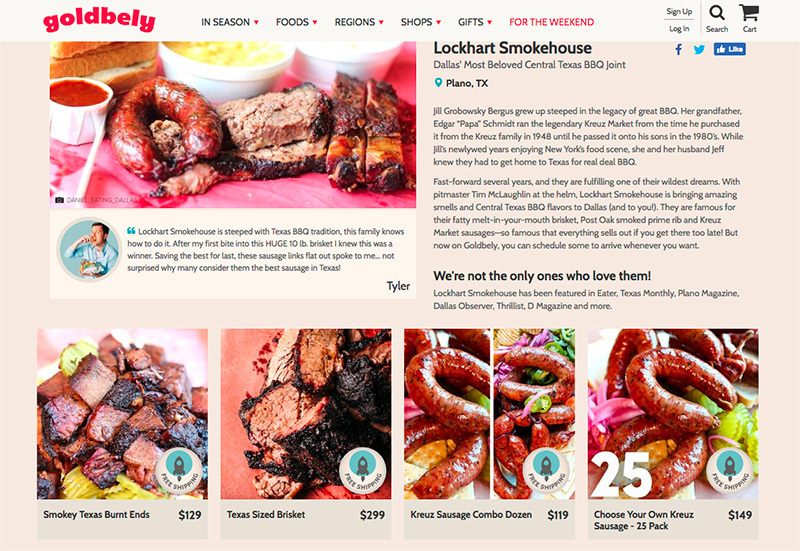 Now, you can order your favorites from Lockhart Smokehouse and have it shipped right to you. We have teamed up with Goldbelly to bring Dallas' Most beloved Central-Texas BBQ to you; shipping available to all of the United States!! Copyright © 2019 Lockhart Smokehouse All Rights Reserved.